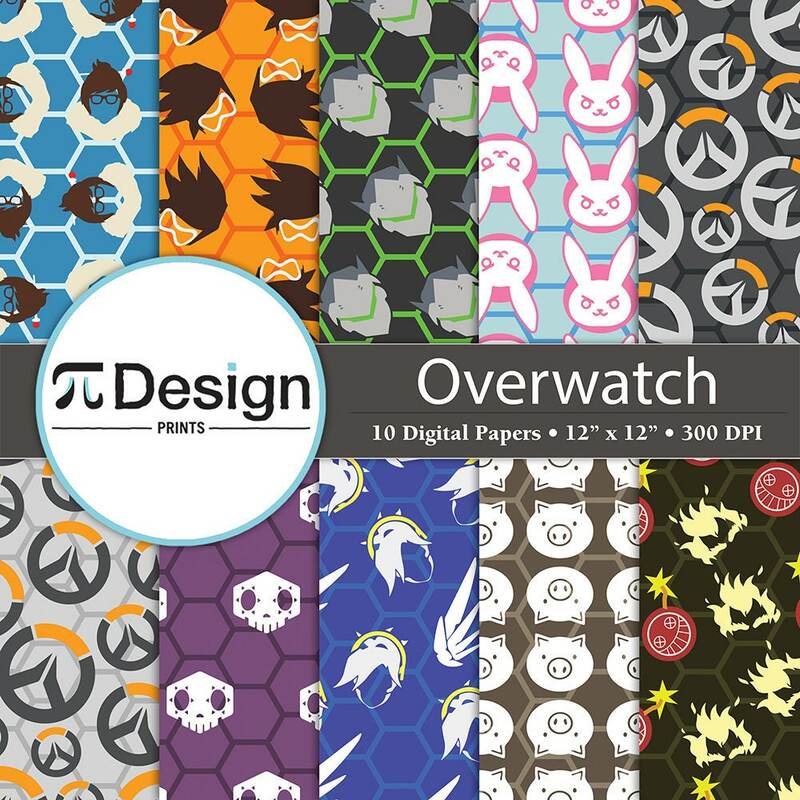 Printable digital patterns by some of your favorite characters from Overwatch. Perfect for scrapbooking projects, invitations, announcements, party favors, wallpapers, graphic design, stationary and paper crafts. Just print it at home or at your local print shop and you can use it for all your crafting needs. All the files are seamless patterns so you can easily adapt it to fit your needs. These files are available for instant download. Once payment is confirmed, you will receive and email with your download link (to your email address on file with Etsy). No printed orders will be sent. • You cannot resell or redistribute these files in an unaltered form, whether printed or digital. • If you are using these papers as part of a digital design, your final product must be flattened. • Credit is not required, but is very appreciated! Look great! Very happy with the purchase. Easy to download!! A format that is easy to use and see Thank you for making this so easy for me!! Exactly what I expected. Perfect!